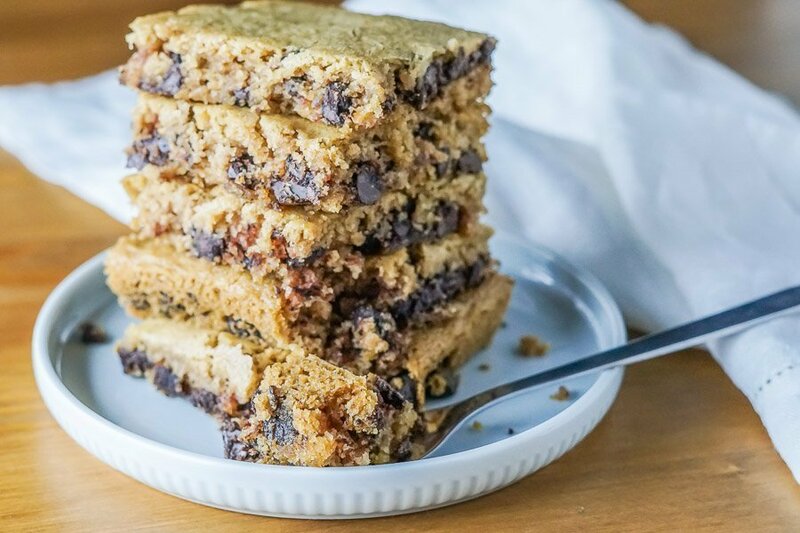 Marshmallow-y, moist, delicious, and chewy, these Paleo & Gluten-free Blondies have quickly become a favorite dessert! Their almond flour base and healthier sugars and fats make them an ideal substitution for pre-made snack bars. We love to bring them for picnics, work and school lunches, potlucks and dinner parties. 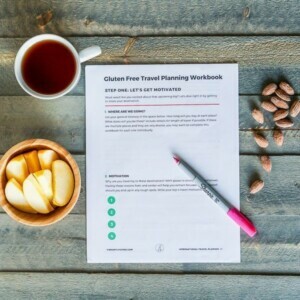 Better yet, paleo means that they are gluten and dairy free, and all ingredients are celiac-safe. 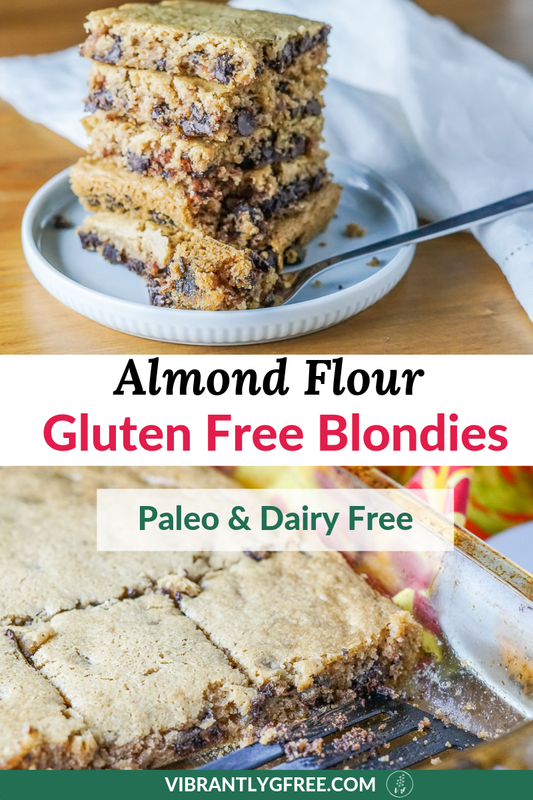 Moist, delicious, and chewy, these Paleo & Gluten-free Blondies have quickly become a favorite dessert! They are also dairy free and use only one-bowl. Preheat oven to 350 degrees F. Lightly grease a 9 x 13 inch baking pan. Add chocolate chips and stir in with spatula or spoon. Pour the mixture onto the ungreased baking pan. Bake for approximately 22-25 minutes or until top has a golden brown crust. Pin this image by clicking the ‘save’ button in the upper left corner to make this recipe later! In the mood for more chocolate? Check out their heavenly paleo and gluten free brownie counterpart. P.S. – Tag a photo of your gluten free blondies on instagram using #vibrantlygfree, and let us know how it goes in the comments! Previous Post: « Gluten Free Picnic Food: 11 Fresh and Fun Ideas!